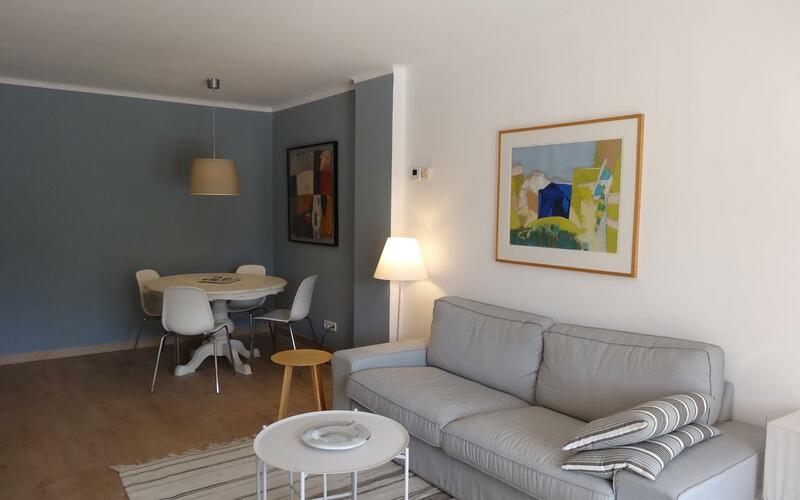 If you prefer a location closer to the beach we offer you our great 6 pax apartment, only 300 meters from the beach in Cambrils. 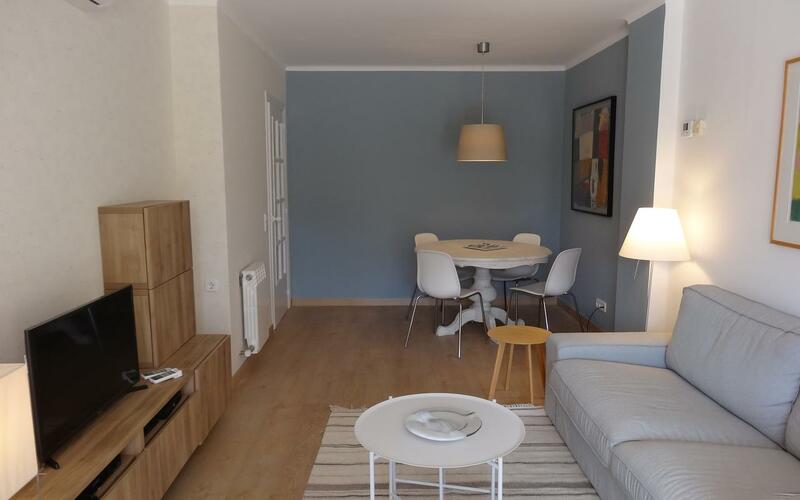 This completely renovated (2017) apartment is located in the heart of Cambrils, 300 meters from the beach. 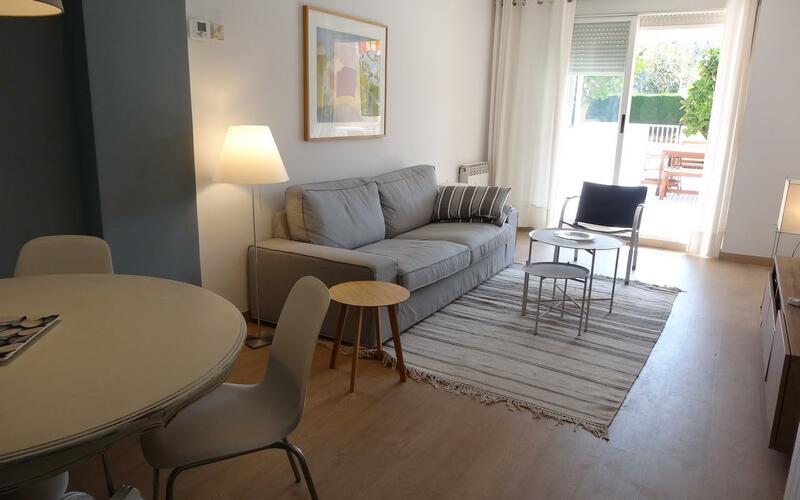 The location is excellent; away from the hustle and bustle, but in the absolute centre of Cambrils. At 150 meters you will find a large Aldi supermarket and at 500 meters a Lidl and Esclat. Restaurants, bars and shops are all very close. The apartment is located on the ground floor and has a terrace of 80 (!) m2 with direct access to the garden and the swimming pool. On the terrace, you will find a lounge area, a dining table with 6 chairs, 4 sunbeds and a barbecue. The apartment has 3 double bedrooms, a living room, 2 bathrooms with toilet, bath/shower, washbasin and hairdryer, and a kitchen. The kitchen has a dishwasher, refrigerator with freezer, a microwave, convection oven, a Nespresso coffee machine and everything else you need in a kitchen. The living room has a flat screen smart TV with a PS3 and satellite TV channels. You have free Wi-fi, a washing machine, drying rack, ironing facilities, central heating and air conditioning. A high chair and /or cot are available on request. Included in the rate: electricity, heating, air conditioning, towels and linen. Not included: end cleaning costs of € 75,- and tourist tax of € 0,99 p.p.p.n.